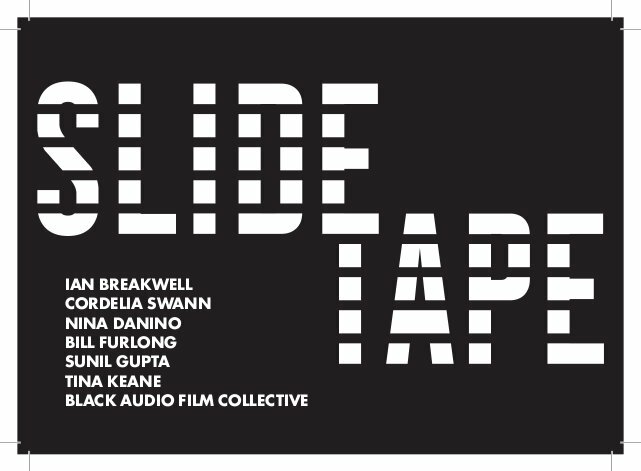 Artists: Black Audio Film Collective, Ian Breakwell, Nina Danino, Bill Furlong, Sunil Gupta, Tina Keane and Cordelia Swann. SLIDE/TAPE is a new exhibition offering a fresh appraisal of an abandoned medium. Primarily associated with expanded cinema practice in the 1970s-80s, slide-tape installation expanded definitions of sculpture through setting out a dialogue between still image, sound and the physical presence of the media apparatus. At a basic level, a slide-tape is a series of projected photographic slides with a synchronized audiotape soundtrack. 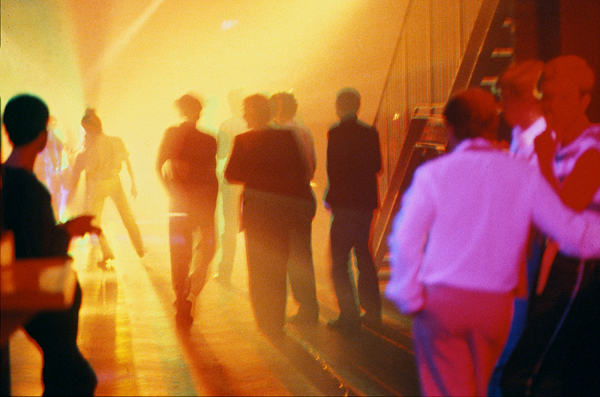 As a technology, it is significant in the UK for being used by a number of key and emerging artists for a brief period in the 1970s-80s before being abandoned in favour of video and emerging alternative technologies. This exhibition aims to acknowledge the importance of slide-tape in the field of moving image media. SLIDE/TAPE re-stages key works in the original format and draws a little seen practice out from the margins of British art history. During the exhibition we will be hosting some fascinating discussions on the slide-tape text on Thursday evenings, plus a participatory residency as part of the Discovery Season at the internationally acclaimed Library of Birmingham with artist Cathy Wade from 15-20 October. SLIDE/TAPE is presented in association with Loughborough University, who are exhibiting works by Ian Breakwell and Tina Keane between 4-15 November, and hosting a symposium on 6 November. Speakers include Michael Archer, Nina Danino, Katy Deepwell, Paul Goodwin, Keith Piper and Cordelia Swann. The exhibition is co-curated by Yasmeen Baig-Clifford, Director of Vivid Projects and Dr. Mo White, School of Arts, Loughborough University. Curators talk with Yasmeen Baig-Clifford, Director of Vivid Projects, and Mo White, Loughborough University. Click here for further information. Graham Peet and Carola Adams discuss the Some Girls Poster Project. Matt Watkins in conversation with Yasmeen Baig-Clifford. Cathy Wade in residency at Library of Birmingham.